The Remodeling Futures Program at the Joint Center for Housing Studies of Harvard University predicts expanded growth of home remodeling and renovations through most of 2018. That’s a good indication that the economy has picked up and the many homes that fell in disrepair after the Great recession are getting the much-needed attention to extend their functionality. It wasn’t that long ago when Kermit Baker wrote about a crisis of the declining housing stock due to extensive deferred maintenance (The Return of Substandard Housing; housingperspectives.blogspot.com; February 27, 2013). The article written for the Joint Center for Housing Studies of Harvard University highlighted the considerable reduction of home maintenance as measured by home owner “maintenance spending” during the Great Recession. This seemed to be a low point for the country’s housing stock. 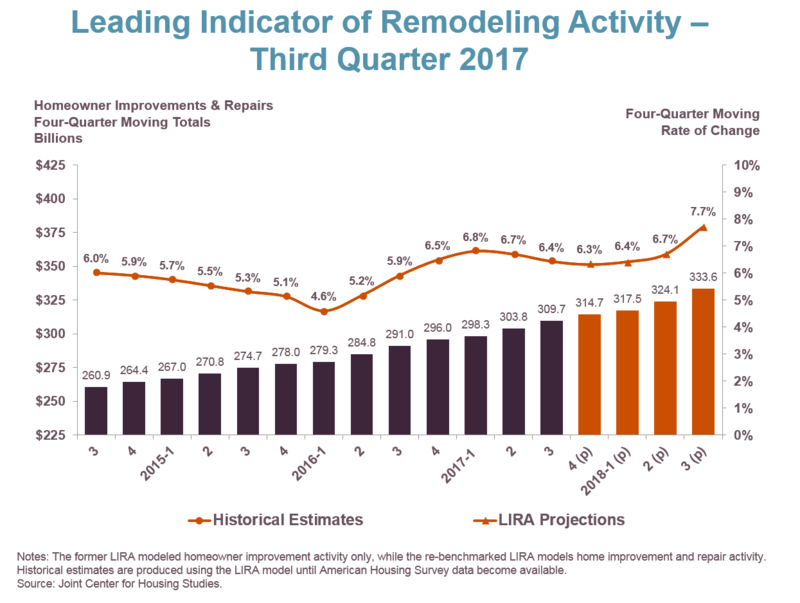 The 28 percent decrease in maintenance spending between 2007 and 2011 essentially nullified the renovation spending during the housing boom. The current LIRA data doesn’t include the effects of recent hurricanes. It is expected that those recent disasters will significantly increase the anticipated projected maintenance spending. Home owners really have no choice but to spend on renovations, remodeling and repairs, especially if they are planning on selling their home. Most home buyers want a turnkey home, where the home is fresh and new and offers minimal maintenance during the first year of ownership. The desire for a turnkey home is probably why new home sales are at a ten-year high. This week, the US Census Bureau (census.gov) released new home sale data that indicates a month-over-month increase of 6.2 percent, and a year-over-year increase of 18.7 percent! To compete with other re-sales and new homes, home sellers must factor in the cost of home renovations. There are many home owners who still can’t afford to move. The fact that many are still priced out of the move-up market has been a major issue holding back the housing market. This phenomenon is also responsible for continued low home re-sale inventories. 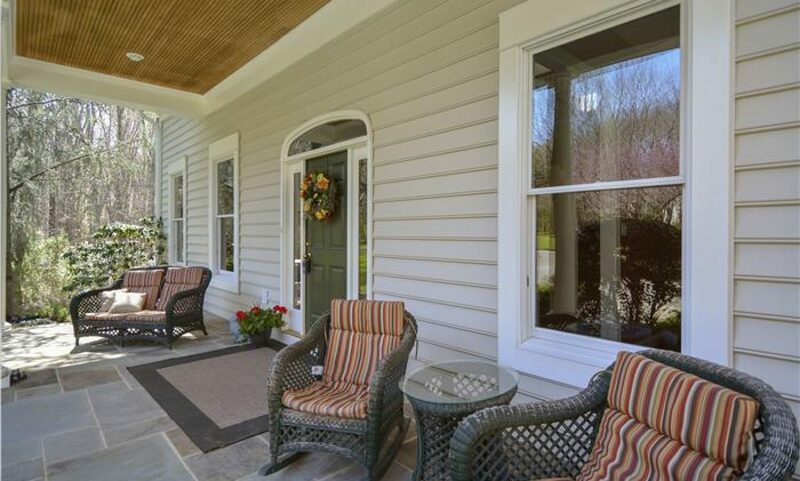 As a result, many home owners are staying in their homes much longer than anticipated. The National Association of Realtors indicated in the Home Buyer and Seller Generational Trends Report 2017 (nar.realtor) that home buyers anticipate staying in a home about twelve years. This is an increase of about five years compared to a decade ago. Although many home owners still can’t move, they are deciding to do home “make overs.” The make overs will give their homes a fresh look, that typically include new floors and paint schemes. Additionally, kitchen and bathroom renovations modernize the home. However, home owners needing more room, are opting to expand their homes to give them larger spaces. Some home owners are going beyond the basics and creating different spaces by moving walls. Regardless of your reasons for home renovations and repairs, home improvement experts recommend to create a budget and stick to it, and always hire licensed contractors.